Have a new driver preparing for their Virginia learner’s permit test? Our learner’s permit preparation class is for them! During this classroom session, new drivers will receive top-notch instruction from an experienced instructor on subject matter that the test will cover, plus real life examples and tips that will help them along the way. Preparation classes are typically held every Sunday, beginning at 9:00am. Students receive training on the rules of the road, the different road signs they may encounter, school zone safety and rules and much more. All of which will be tested during the two parts of the leaner’s permit test at the DMV. Our learner’s permit preparation class will also provide the foundation for new drivers to prepare them for their driver’s education course, giving them an advantage as they continue their journey towards earning their driver’s license. The mission at 2020 Driving School is to develop safer, smarter drivers, and our learner’s permit prep course is a critical component of developing the needed skills early to prepare new drivers for the varying road conditions ahead. This instruction is provided in a classroom setting, and is a perfect pair for our Private Lessons, which gives new drivers a head start with classroom and in-car training. Our prep course is great for all new drivers, no matter their age. Each student will receive the same focused, engaging instruction to ensure the principles are retained. 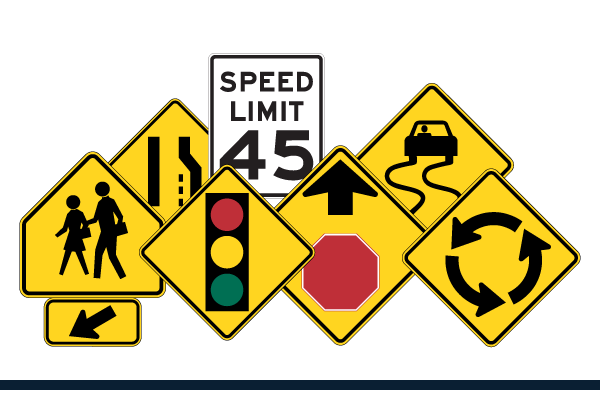 One of the primary reasons for attendance in our failed three times / re-examination class is for failing the road signs portion of the learner’s permit test. During the prep course, a great deal of time is spent helping students memorize the sign types and meanings that they will find throughout Virginia.